The "Unikko" print... created by Maija Isola in 1994 after Marimekko's founder publicly announced that no floral fabrics were to be designed at the company. 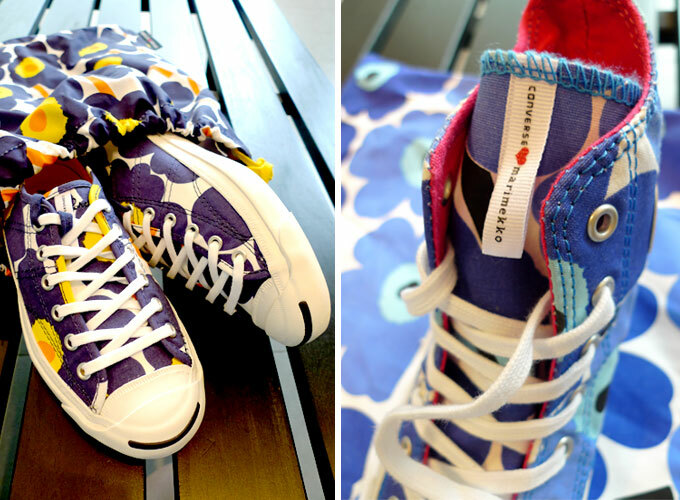 In protest, Isola created a collection of bold floral patterns, of which became Marimekko's most iconic look. The "Lokki" print... created by Maija Isola in 1961. While noticing wavy shadows created by the sun shining through a window curtain, and at the same time, hearing the sounds of Lokki (seagull in Finnish), this pattern was first cut onto coloured paper with a pair of scissors - giving it it's distinctively uneven edges. 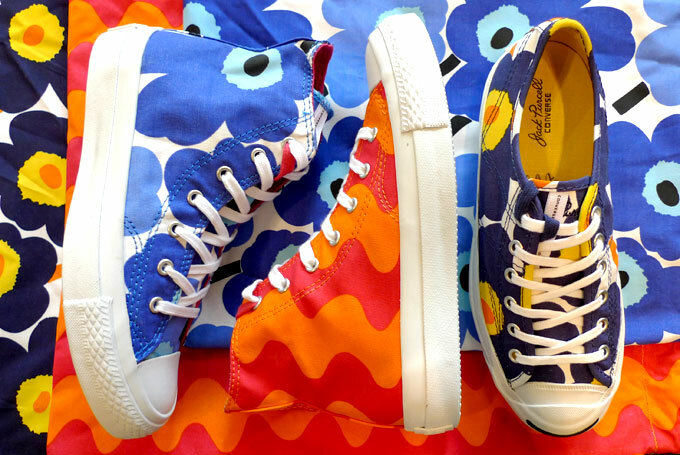 The Unikko print in Jack Purcell's most feminine style, Helen. 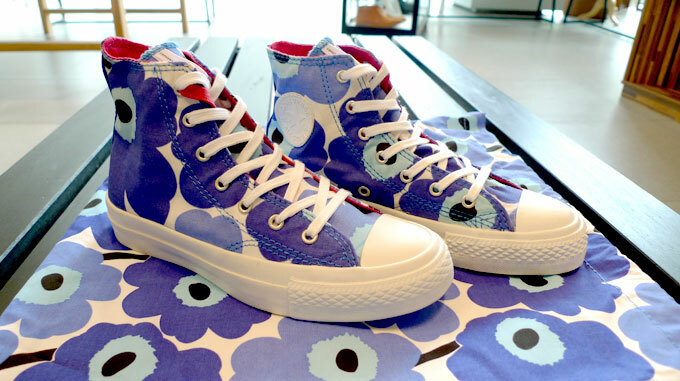 For their Spring Premium Line, CONVERSE collaborated with Finnish textile icon, MARIMEKKO. Adding splashes of colour and daring prints to the classic All-American look CONVERSE is known for, this is the most playful installation yet! 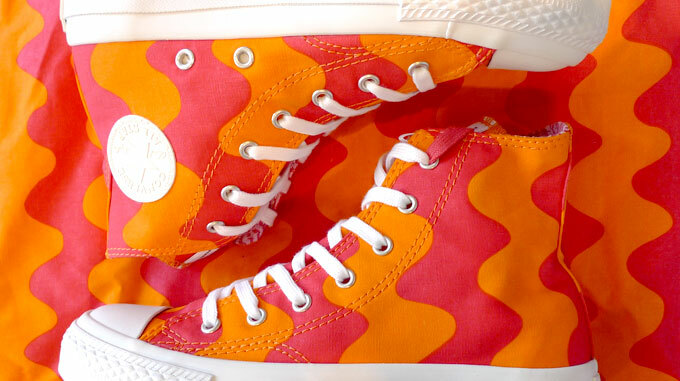 Converse ❤ Marimekko - now available at Rockstar.